Alder Yarrow of Vinography has authored what has to be the definitive story about Gemischter Satz. The story was published in the World of Fine Wine (we’re sorry, but the only way to get a copy of the article is to buy a subscription to the magazine — ca. GBP£89 print, 65 digital versions). He makes a deep dive into the history of product and the cultural drivers that support it, most importantly being the evolution of the heuriger. For those not familiar with them, heuriger are Austrian wine-taverns in which wine-growers serve the most recent year’s wines and where patrons can experience Gemütlichkeit, the unique brand of “warmth/cosiness” that defines hospitality here. 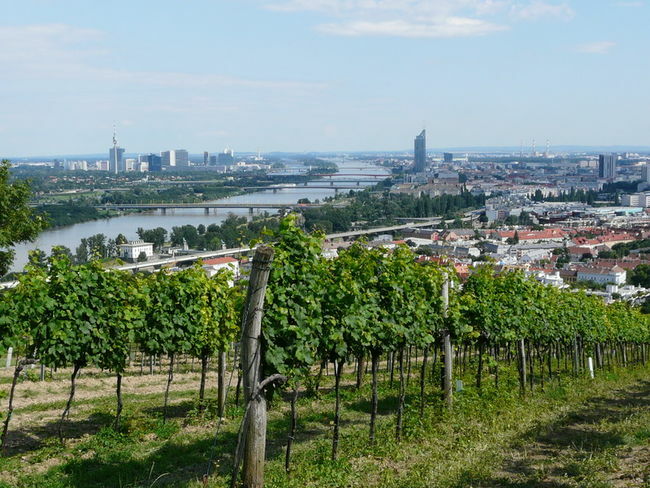 The second cultural trend that came into play was the transition of many Austrian family farms from mixed agriculture to focusing on wines. Alder follows this thread and weaves it with a look at the unique topography and varieties that are commonly found in Gemischter Satz. The end result being an entirely new take on “terroir”. ← Back to the states!